Following a horrific crash into a stationary car at England’s Donington Park on Sunday, 17-year-old British Formula 4 Championship driver Billy Monger had amputations to both legs, according to a crowdfunding page set up by his racing team. Monger was competing in the sixth race of the F4 season when he crashed into a seemingly stationary car at full speed. He was in heavy traffic coming out of a long corner on the race track, and the stationary car didn’t come into view on his on-board camera until the car in front of him swerved to miss it at the last second. Video footage of the wreck (here, if you choose to watch, but discretion is advised) showed that Monger had about two seconds to react, and ended up smashing into the vehicle. The race went under red flag, and the driver of the other vehicle, Patrik Pasma, was reportedly OK after the impact. There wasn’t much said about the wreck or Monger’s condition in the few days following until this page came up. The crowdfunding page that appears to be set up by Monger’s family and the JHR Developments race team says the crash “left Billy fighting for his life.” It later states that he had amputations to both legs. 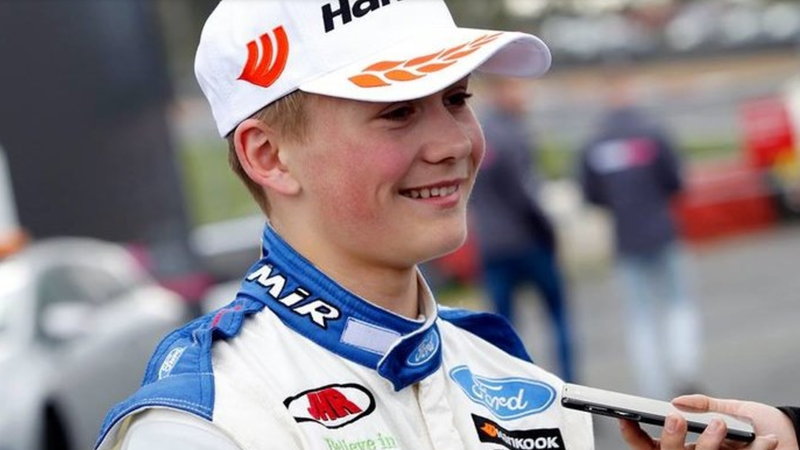 The page says the goal is to raise “£260,000 to help Billy Monger beat life changing injuries,” which is around $332,500 at current exchange rates. The page has raised $72,099.50, or 21 percent of the goal, at the time of this writing, which is around a day after the page published. Billy Monger is in a critical, but stable condition at Queen’s Medical Centre in Nottingham where he is receiving the best medical attention possible. The medical team there are pleased that all Billy’s vital signs are showing progress and going in the right direction. Due to the injuries sustained and despite every effort, Billy has sadly had both lower legs amputated. He has been kept in an induced coma while undergoing surgery, from which he is expected to be woken in the next few days. Billy’s family would like to express their gratitude for the first-class medical attention given by Queen’s Medical Centre in Nottingham and take this opportunity to thank the medical teams, marshals, extrication crews and air ambulance staff for their skilled response and hard work. Furthermore, they would like to thank Billy’s colleagues, friends, fans and everyone who has demonstrated their affection for him over the past few days. These messages help give the great strength needed for the recovery process that lies ahead. Update, April 19 at 5:48 p.m. ET: As of 1:27 p.m. ET, when this post published, the crowdfunding page for Monger was at 21 percent of its $332,500 goal. It is, at the time of this update, at 110 percent of its goal at £286,932 or $366,769.39 at current exchange rates.